Füge dein Licht zur ‚Light Catchers‘ Skulptur hinzu! In dem Workshop wird Michael Ang das Konzept und die Technik des Projekts erklären und zeigen, wie man mit den speziell hergestellten, tragbaren Lichtsensoren ‚Light Catchers‘ seine persönliche Lichtumgebung aufnehmen kann. In einem kurzen Lichtparcours werden Daten gesammelt die anschließend in die kollaborative Skulptur eingespeist werden. 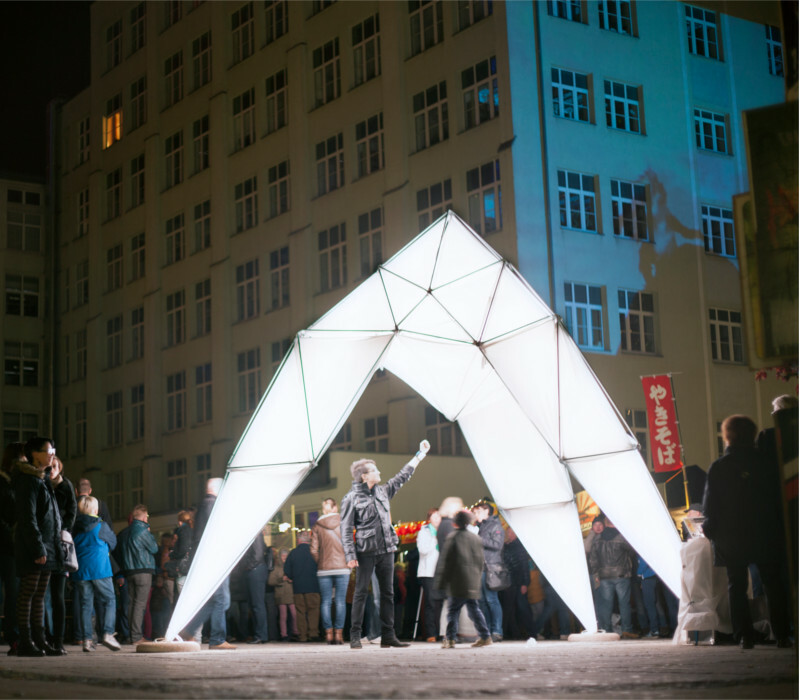 Dieses Projekt ist im Rahmen von Public Art Labs Prototyping Lab 2015 entstanden – unterstützt von der RWE Stiftung. ‘(We Are) Light Catchers’ by Michael Ang seeks to raise awareness of our individual light environments and gives the chance to ‚bring your light‘ to a collaborative public installation. As artist and engineer, Michael Ang develops new technologies to enhance our understanding of natural phenomena and build bridges between the virtual and the physical. On Friday October 9 in a festive ceremony our guests from Jena’s partner city Gunagzhou / Panyu will integrate their ‚Chinese light day‘ into the sculpture. Add your light to Light Catchers! In this workshop Michael Ang, the creator of Light Catchers, will explain the concepts and technology behind the project and help you make a personal light recording using a custom-engineered wearable device. After a short ‚light walk‘ to collect light recordings, your collected colours will be added to the collaborative sculpture and we can discuss the results. During the Light Catchers installation participants can borrow a wearable light sensor and go ‚catch‘ the colours of light from around the festival. When you bring your recorded light back to the installation it will be added to the collaborative Light Catchers sculpture. This project was developed during the Public Art Lab Prototyping Lab 2015 – supported by the RWE Foundation.